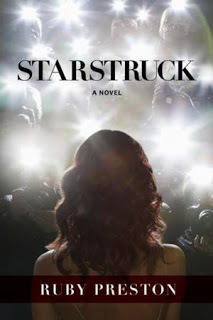 STARSTRUCK, a novel by actual Broadway producer, Ruby Preston, follows the story of Scarlett Savoy, a savvy young producer. With her Broadway opening night a few weeks away, Scarlett is finally ready for her brand new musical to take center stage. Only two major things standing in her way – the beautiful but mercurial Hollywood diva she’s cast in the lead and the tall, dark and handsome familiar face from her past who flies back into her life. From high stakes rehearsal rooms, to paparazzi fueled scandals, to the star-studded red carpet of opening night, Starstruck is a page-turning journey behind the scenes of Broadway, all set against the glittering back drop of Manhattan. Will Scarlett make it to opening night before the curtain falls on her dreams? I enjoyed this one. I thought it had a good premise and good characters, but that it just fell short in some places. I loved everything about Scarlett and her story. I thought it was great that she did what she had to in order to get her show up and running. I think she started off kind of timid and unsure, but it was so nice to see that she had a female mentor (which is practically unheard of in fiction) and that she learned how to say "no" and not feel guilty about it. I think Scarlett was a role model -- someone for young girls who are chasing their dreams to look up to because she knew what she wanted, figured out how to get it, and stopped at nothing to achieve her goals. The plot was a little shaky to me in some places. I thought it was a little ridiculous that the story built up female friendships and then also constructively tore them down with how Scarlett and Bliss treated one another. Scarlett "tried" to be nice and be friendly with Bliss, but in her mind she was not a fan of the girl and to everyone else she complained about her 24/7. It was a little disheartening after seeing how great everything else was there. The writing was fun and while it wasn't the best, I thought it was written the way it needed to be for the story itself. The actual story line made up for the writing, in my opinion, since it is a whirlwind of entertainment. I thought the minor characters could have done with a little more padding and beefing up, but otherwise it was a quite enjoyable experience. Overall: 3.5/5 stars for this one for fun reading times, but not so great writing in some places. If you are looking for a good beach read -- or a plane read while you're on your way to NYC -- pick this one up! Check out the rest in this series by Ruby Preston and keep reading for a Q&A with the author! I was lucky enough to be able to ask Ruby some questions about her book, her life, and her experiences with the Broadway community. Q1: If you could work with any author who would it be and why? RP: I’d love to work with Jess Walter to understand how he writes such incredible prose. I’d also love to work with Stephanie Meyer to learn how she writes such addictive books! Q2: Who is your favourite author and is you writing style similar to theirs? RP: My favorite chicklit author right now is Sarra Manning. I wish I could write as well as she does. I find her writing style very inspiring. 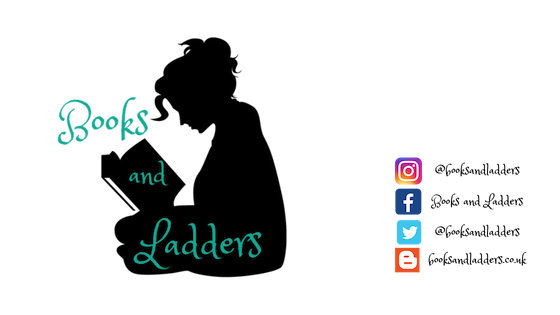 I like the way she creates one setting (contemporary London) and writes several books that focus on different characters who all exist in the same world and something interact across books. Q3: When naming your characters, do you give any thought to the actual meaning? RP: It’s important to me that the names really fit my characters in my head. I find that sometimes I’ll pick a name that I can’t remember from page to page. When that happens I know it’s not a good fit and come up with something else. I also base a lot of my characters on real people so I have to be careful to pick names that won’t reveal my inspiration! Q4: What was your favourite part of Starstruck to write? RP: I love writing the dialogue, particularly the scenes about why Broadway works the way it does and how crazy some of the situations can be. It’s fun to have characters in my books echo real life conversations that me and my showbiz colleagues have in real life all the time. Q5: How much of your experience as a Broadway producer is mirrored in Scarlett's story? RP: Scarlett’s story is very much based on my own experiences (though I’ve added some heightened drama and romance for good measure)! Writing fiction allows me to riff on some of the more juicy characters in my life without running into trouble. I love how my fictional world allows me to process and respond to what’s happening in my real life. It’s very empowering. Ruby Preston is a young Broadway producer currently working on several new musicals on the Great White Way. She couldn't be more thrilled to be living her dreams in the Times Square trenches of Manhattan. Starstruck is her third novel and includes many of the characters introduced in her previous books, Showbiz and Staged. Check out all the stops along the way!